Open Golf Club will be exhibiting for the second time at AeroExpo UK in the Aero & Lifestyle Hall with a special show offer and Prize Draw during the 29th – 31st May 2015. Open Golf Club is pleased to be exhibiting for the second time at Aero Expo UK to promote its ever expanding network. This year as a Special Show Offer, Open Golf Club have a reduced cost Leisure Stay at the renowned Hotel Westminster & Spa in Le Touquet. The prices start from 146 Euros per person including a welcome glass of champagne, dinner in the award winning Cimaises restaurant and one night`s double room accommodation with breakfast in a Classic room for two people. Please visit stand number L7 in the Aero & Lifestyle Hall for further details and to pick up a copy of the latest brochure and also to enter a Prize Draw to win a golf break at Le Manoir in Le Touquet. 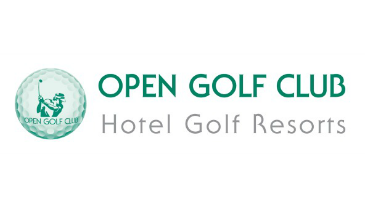 From its launch in Le Touquet and Hardelot in Northern France the Open Golf Club group is now strongly represented throughout France and also in Benelux, Spain, Portugal, Italy and Morocco. Enjoy a relaxed golf or leisure break in great destinations such as the South of France, the Alsace, the Dordogne , the Biarritz region and the Paris area. Choose from prestigious names such as the Chateau des Vigiers, the Golf National in Paris, San Roque in Southern Spain, the Chateau de la Begude in Provence, Quinto do Vale Resort in the Algarve, Toscana Golf in Tuscany, the Montgomerie in Marrakech and the best golf courses in Belgium including Bercuit and Winge.